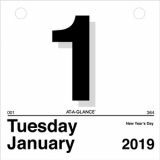 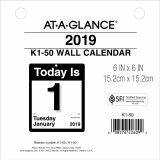 AT-A-GLANCE Today Is Daily Wall Calendar Refill, 6 x 6, White, 2019 - Dated daily refill for Today Is" Wall Calendars lets you know what day it is with one quick glance. 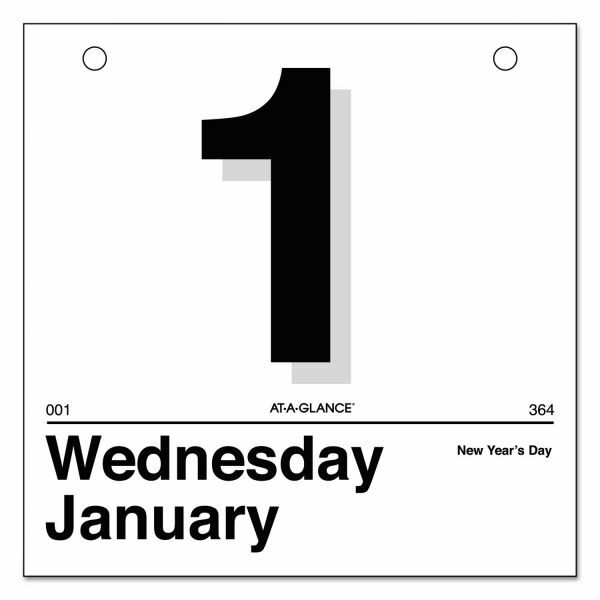 Each page features extra-large numbers on durable paper stock for each day of the year from January to December. 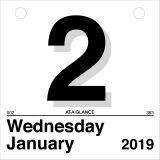 One-page-per-weekday format has Saturday/Sunday combined, holidays and count of days/days remaining. Refill fits K1-style bases."